James Beard nominee and local chef, Jeremy Hansen, will spend most of November in Puerto Rico, where he'll volunteer his time and talents to provide meals for victims of Hurricane Maria. 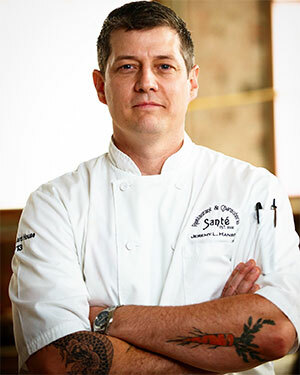 Hansen, along with a small team of other local responders, will travel to the US territory later this month to join forces with internationally known chef Jose Andres' World Central Kitchen, which has been spearheading food relief efforts in Puerto Rico. Hansen and others involved in this outreach will assist chefs already in Puerto Rico who have been serving disaster stricken citizens at pop up restaurants and other locations since the September 20 hurricane decimated the island. In preparation for what is a very personal project for the chef, Hansen and his wife, Kate, along with collaborators from around the region, will hold a fundraising dinner this Friday, October 27 at the Washington Cracker Building, 304 W Pacific. The Spokane relief team is inviting the public to take part by buying tickets to attend the dinner. Reservations for this Puerto Rican Family-style Steak Dinner can be made by calling 509-703-7907. Suggested minimum donation is $100 per seat; $1,000 for table of ten. Wine reception starts at 6:15pm, followed by dinner. Delta Airlines is the presenting sponsor and has covered all the airfare for the team headed to Puerto Rico. Jeremy and his wife Kate Hansen own and operate Sante Restaurant & Charcuterie, Inland Pacific Kitchen, Biscuit Wizard, Common Crumb Bakery and Hogwash Whiskey Den, all in Spokane. Bryce Hanson recently joined GeoEngineers' Spokane office as a geotechnical engineering field technician who will also support environmental and special inspection and testing projects. He recently graduated from Eastern Washington University with a B.S. degree in environmental science with an emphasis on geology. GeoEngineers, headquartered in Seattle, is an integrated earth science, engineering and technology firm with offices in Washington, Oregon, Idaho, Utah, Louisiana and Missouri. GeoEngineers specializes in crafting unique environmental, ecological and geotechnical solutions for the water and natural resource, transportation, energy, federal and development sectors. For more information, visitwww.GeoEngineers.com. Stephanie Regalado was honored as the Top Social Media Influencer during the National Association of Women Business Owner's (NAWBO) National Women's Business Conference last week in Minneapolis, Minnesota. As the NAWBO-Northwest Chapter president, she joined more than 1,000 women business owners from across the U.S. along with representatives from more than 50 countries during the three-day leadership conference with headliners including Erin Brockovich and Gayle Lemmon. 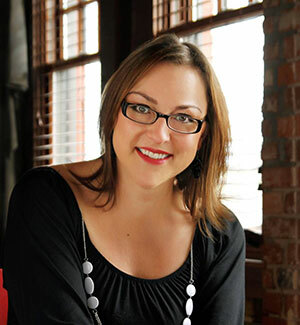 Stephanie owns Business BirdSong, a boutique communication firm focused on content creation-social media, PR, web text, blogs, and is most widely recognized for her work in magazines, in particular her current role as Editor-in-chief of Spokane Coeur d'Alene Living magazine. "Most people don't realize Bozzi Media is my client, and my role as editor-in-chief falls under my own business. Like most business women I know, there is more to our professional story, and capacity, than most people realize," she says. Stephanie works with businesses of all sizes, employing talented writers to help manage the workload while providing the 'media magic' she has gained over the last 17 years in the industry. Stephanie can be reached at s@businessbirdsong.com. The fourth annual Holiday Open House at the Bing Crosby House Museum will be held on Saturday, December 2 from 1-4pm, hosted by the Bing Crosby Advocates. The museum at 508 E. Sharp Avenue on the campus of Gonzaga University will be decorated for the holidays, and hot cider and cookies will be served by the Bing Crosby Advocates, a nonprofit organization dedicated to maintaining the legacy of Bing Crosby. Admission is free to the public, with designated free parking directly behind the house. 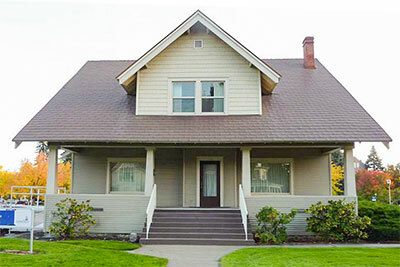 Built in 1911, this is where the internationally famous star of film song, radio and more grew up and where he lived until leaving for Hollywood in 1925. And it's the very place where the singer of 'White Christmas' spent many youthful Christmases. More than 200 items are on display in the museum showing Bing Crosby's life and career. Visitors can see his gold and platinum records, the Oscar he won for the film Going My Way, pipes, trophies, photographs from his career and personal life and other items. For information contact Stephanie Plowman at 509-313-3847 or plowman@gonzaga.edu. Hannah Iranon has joined Humanix as an Account Manager/Recruiter all the way from New Zealand. Her past 5 plus years of experience as an IT Recruitment Specialist and her Mass Communication degree from University of Canterbury brings additional strength and depth to the Humanix team. Humanix is a local, employee-owned company which opened in 1986. Putting generations to work; assisting candidates with their next career step, and placing over 86,000 employees into temporary, contract-to-hire and direct-hire positions. Visit www.humanix.com. Facebook, Instagram, Pinterest, LinkedIn, and Twitter. Spokane Score Chapter 180 presents three afternoons of workshops. Facebook Marketing for Small Business - Tuesday, October 31 from 1-4pm. Instagram and Pinterest Marketing for Small Business - Tuesday, November 7 from 1-3pm. LinkedIn and Twitter Marketing for Small Business - Tuesday, November 14 from 1-3pm. These workshops are specifically tailored to people just starting out with social media and social networking and are entry level, or beginner seminars. Workshops are hands on. To get the most out of this class, bring your web friendly device: laptop, tablet, cell phone, that you will use to manage your social media channels. All workshops will be held at the SBA/Score Training Room, 801 W Riverside, Suite 444. For more information and to register, visit www.scorespokane.org. 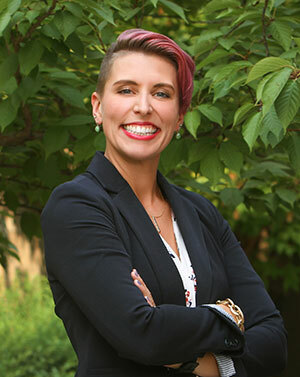 Claire Kincaid-Slate, AIA, NCIDQ, IIDA, has joined Bernardo Wills Architects as an architect. Commissions on which Kincaid-Slate is currently working include the Bow & Aero Medical Office Building in Cheney, and a tenant improvement for the Community Health Association of Spokane's Urgent Care Center in the City of Spokane Valley. Licensed to practice architecture in Idaho, Kincaid-Slate is a member of the American Institute of Architects. She also is a member of the International Interior Design Association and holds the National Council for Interior Design Qualification designation. 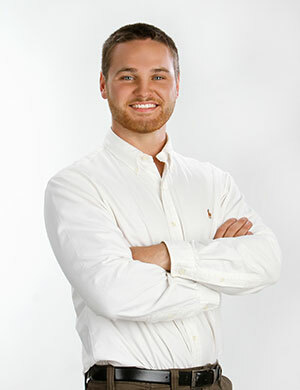 Kincaid-Slate, who has a Bachelor of Fine Arts degree in Interior Design with a Minor in Architecture from the University of Idaho, was previously employed by H2A Architects, PA, as a project architect and interior designer.